This exhibit represents a comprehensive presentation of the Soviet Air Fleet/Osoaviakhim semi-official charity stamps and postal cards of the 1920s and early 1930s. These stamps are virtually unknown, even to ardent aerophiltelists today. They are not listed in philatelic catalogs. The actual number of these stamps/labels issued by various Air Fleet (O.D.V.F. )/Osoaviakhim districts is unknown; new examples and unreported cliches can still be found. These stamps are quite scarce, even in the Soviet Union/Russia. It is noteworthy , that the material presented herein represents the most extensive and diverse grouping of Air Fleet/Osoaviakhim material known outside Russia and perhaps in Russia itself. Early Soviet postal archives (1923/24) indicate that Air Fleet stamps while not valid as postage were to be voluntarily purchased by the public and were to be affixed to postal documents. Postal workers were to cancel these stamps just as regular postage. These stamps were sold in post offices and by members of the regional/district Air Fleet/Osoaviakhim societies. Funds derived from the sale of these emissions were used by the Soviet government to build both civil and military aircraft and air facilities and to train pilots and other air personnel. 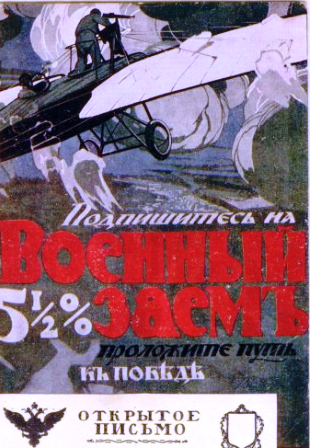 Public support of aviation through the purchase of Air Fleet/Osoaviakhim stamps played a major role in the development of Soviet aviation in the new Soviet state. Thus, these stamps/labels were an integral part of Soviet civil and military aviation development, as well as Soviet/Russian postal history. As stated Soviet/Russia Air Fleet/Osoaviakhim stamps are quite uncommon and a number can be considered rare. Many of these emissions were printed in limited quantities by local/regional air societies; few have survived over the years. During the early-mid 1920s, Soviet authorities recommended that these stamps be placed on letters and cards by the senders as voluntary contributions to the Air Fleet fund. It is apparent that few people adhered to this recommendation . Consequently Air Fleet/Osoaviakhim issues on cover are particularly scarce and are highly prized today. The new Soviet government initiated programs for the development of air communication and defense throughout the soviet Union in 1923. To stimulate the interest of the people in aviation and to gain public funds to help support air-related projects, the Soviet government sponsored the formation of aviation clubs the O.D.V.F. (society of Friends of the Air Fleet) in Moscow and in other major cities and districts throughout the country. The O.D.V.F. and the smaller chemical defense society (Dobrokhim) joined in 1924 to form the Aviakhim (Air and chemical Defense Society). Within two years (1927), as the military took greater control of the soviet government, military and other defense organizations (society for Assistance in Defense - Oso) were amalgamated with the Aviakhim to form the Osoaviakhim. The aviation role and projects of this combined society shifted more to military air defense capabilities than in previous years. The first Air Fleet stamps were issued in May 1923 and were distributed throughout the Soviet Union . Local clubs were soon authorized to issue their own Air fleet stamps and had their own local air projects. Revenue from their sale was used by both the government and the local clubs for aircraft construction , air personnel training and other aviation activities. As air and defense activities became more expensive, the sale of promotional stamps was no longer sufficient. To secure increased funding, The Soviet government and the Osoaviakhim turned to special "propaganda" postal cards in the early 1930s and initiated a series of Osoaviakhim lotteries. The issuance of Osoaviakhim stamps was soon discontinued and district organizations became more centralized. The Osoaviakhim continued to operate actively into World War II expanding its air horizons into sanitation, crop spraying, flying ambulances and sponsoring major aviation events from long range distance flights to record balloon ascents during the mid- to late 1930s. While all Air Fleet/Osoaviakhim stamps/labels are uncommon, those issued by the Central Committee (Moscow), the Northwest District (Leningrad), Rostov, Kiev and Tashkent are more frequently encountered. Those from smaller cities/town and districts shown in this exhibit were particularly hard to find - some represent the only examples I have seen in over 25 years searching . The material shown in this exhibit formed the basis for my book Soviet Air Fleet/ Osoaviakhim Stamps/Labels , 2002 (available from the APS Library and in PDF format from the Rossica Society).